While I don't appreciate stores putting out their holiday wares in October, now, in mid-November, I have to admit I do love seeing signs of the impending holiday season. Especially since I'm only going to be working eight days at the day job in December! And while I don't put my tree up or listen to Christmas music until the Saturday after Thanksgiving, I couldn't resist doing a review of Patricia Kiyono's Christmas Wishes, and I'm so glad I did. It was like an early shot of the holidays that warmed me right to my toes. Mitch Carson is tired of the big city. In his former life, he'd been a news photographer in Chicago, where the dangers are endless. But now, he just wants to settle down in this quiet town with his daughter, Angie. Here, his only fear is losing his daughter to his scheming mother-in-law. Right around this time of the year, my sweet tooth starts acting up. (Okay, I lie. My sweet tooth is always acting up.) I start craving mint and chocolate things, dreaming of snowflake-shaped sugar cookie cutouts outlined sparkling white icing, and digging out the old, traditional family treat recipes. Reading Patricia Kiyono's Christmas Wishes was like eating one of my late Grandma Rolfe's church window candies. If you've never had a church window (recipe here), they consist of a perfectly balanced blend of semi-sweet chocolate rolled up in a log with cheerfully-colored marshmallows, and when they're sliced, they turn into perfect little rounds that look like kind of like stained glass. So why did Christmas Wishes remind me of such a specific thing? Well, those simple candies make me happy. The taste of them is soft and sentimental and sweet (but not in an overly saccharine way that hurts my teeth). They remind me of family. They bring back memories of holidays past that now seem so old-fashioned and perfect. Their stained glass resemblance reminds me of the magical midnight mass we'd attend sometimes on Christmas Eve at Grandma's church, when we dressed in our best clothes and sang O Come All Ye Faithful while the light of the candles flickered against the tall, beautifully colored windows that stood between us and the crisp, snow-filled night. I could eat a hundred of those candies. Christmas Wishes was the same way. It was an uncomplicated, sweet romance, in which the focus was on family ties and a relationship between faltering single dad, Mitch, and Sophie, a young woman trying to find her direction, that bloomed in a snowy small town in Michigan, not too far from the small town I grew up in. It felt warm and familiar, with realistic secondary characters and locations that brought the town of Zutphen to life. And most impressively, each child in the book had a distinct little well-drawn personality, like Mitch's lovable daughter Angie, and the impish and out-of-control twins, Jordan and Josh, who cause Sophie so many headaches while she tries to direct the church children's Christmas pageant. The kiddos come across so realistically, the reader has no problem equating them to similar kids in their own lives. Structurally, Kiyono used plenty of humor, an easy writing style and a tight storyline that blended both internal and external conflicts well. 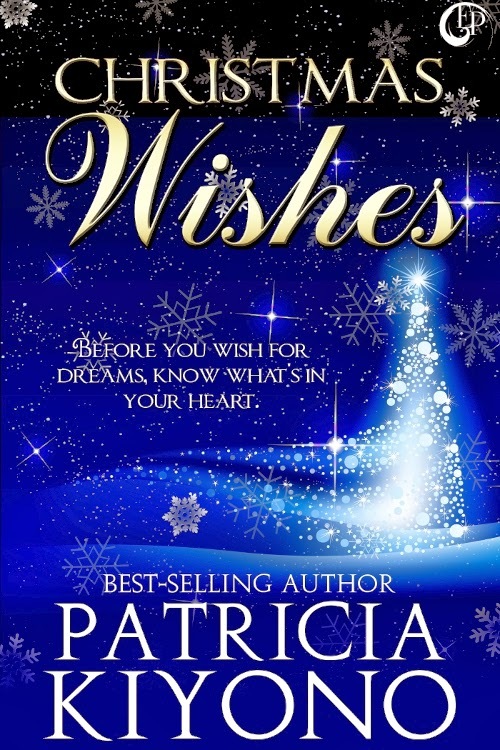 At 136 pages, Christmas Wishes was a fast read, but paced well, with a couple of surprising twists and situations that tugged at my heart. I haven't read a sweet romance in a while, and I'd forgotten how much I enjoy them. There are no steamy bedroom scenes, which left the focus on the development of just the romance between Mitch and Sophie--their road from first meeting to happy ending. It was a light and satisfying book that featured friends, faith, family, love and Christmas wishes granted. My verdict? I wish I had 99 more books just like it. In a previous life, Patricia Kiyono taught elementary students by day and changed diapers at night. Now she teaches college students part time and changes diapers only when she's taking care of grandkids. She loves to do anything that doesn't involve exercise. Right now her favorite activities, in addition to writing, include scrapbooking, sewing, and making music. She and her husband live in southwest Michigan, near their five children and nine grandchildren. 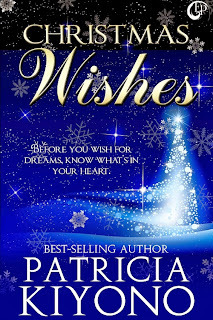 Christmas Wishes can be purchased at Amazon, Barnes and Noble, and other ebook outlets. Disclaimer: I received a free digital copy of Christmas Wishes in exchange for a fair and impartial review. 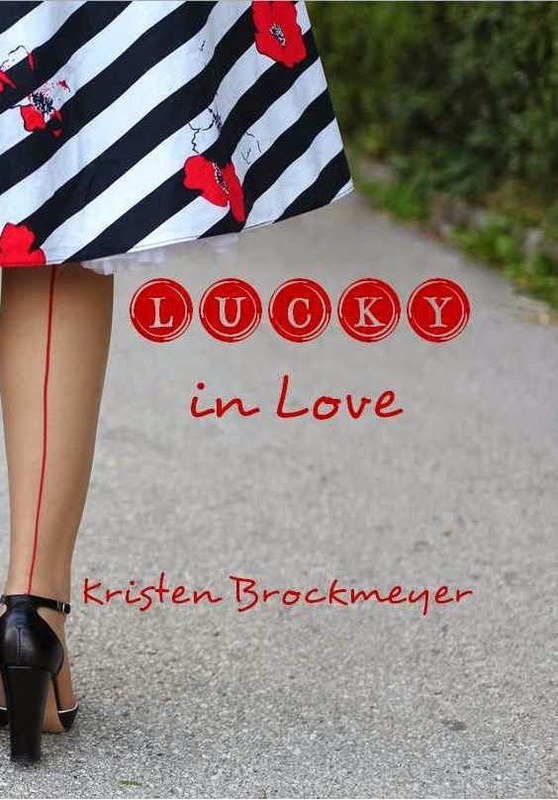 All spiffed up with a shiny new cover, Lucky in Love is now in PRINT! 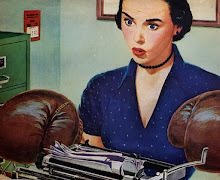 Spicy love scenes, offbeat humor, vintage cars. What's not to love?